If the likes of Elon Musk and Richard Branson are to be believed we are in, or soon to be in the age where adventure and commerce are no longer limited to land, sea and air. 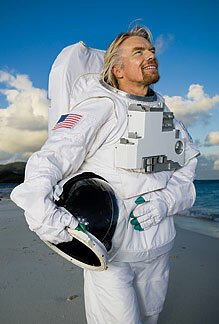 Commercial applications of space are just about to lift off at a launch pad near you! Let’s take a moment to contemplate how profound that is in the scope of the limited time Man has spent on earth! In a short ‘blip’ we’ve gone from cowering up in the trees to reaching for the moon, sun and the stars! From my limited reading of the maritime cannons I have cobbled together an image of successful navigation at sea as a three way balance between luck, insanity and grit. Each constituent part taking the wheel at one time or another to insure a safe journey. It wasn’t until the first marine chronometers were built and the illusive concept of Longitude mastered ‘science’ successfully replaced insanity and luck. Mariners of yore owed the nascent technology of chronometry to real people – with real stories to boast. One of the foremost of those ‘real’ people was the late John Arnold (1736-1799). 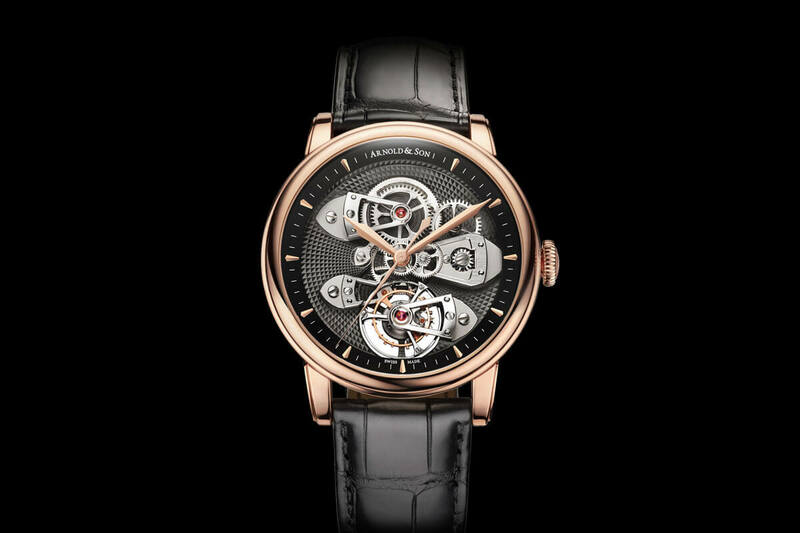 Arnold is one of the foremost among the pantheon of watchmaking. 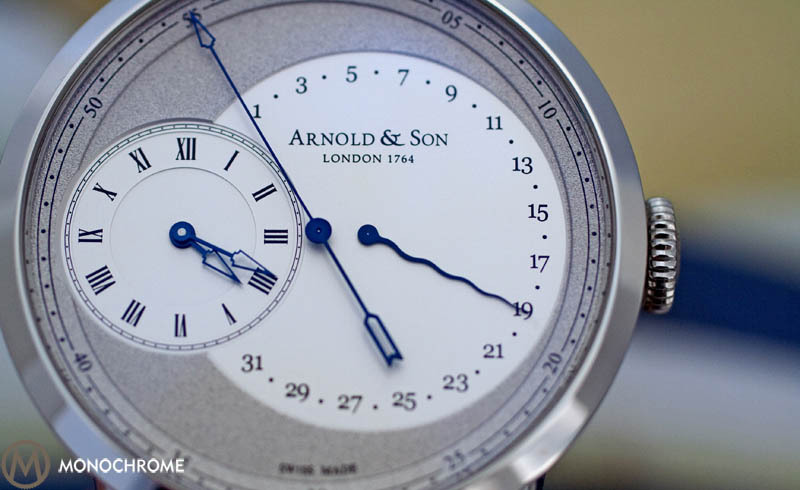 The ‘playbook’ of modern watchmaking is still rife with the works of John Arnold and his son John Roger Arnold. If you were to learn only one tidbit about John Arnold, let it be this: the coined the term ‘chronometer’ in reference to a highly accurate timekeeper. It was in fact the marine chronometer that allowed you to set sail with a reasonable expectation of reaching Japan and returning in one piece! For nearly 300 years the privateers of the honorable East India Company opened channels of trade between England and India and China. 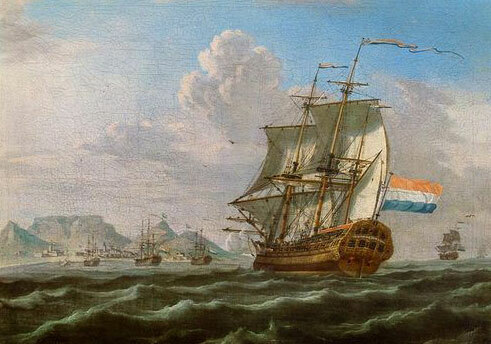 The ships of the East India Company were known as the ‘Indiamen’. 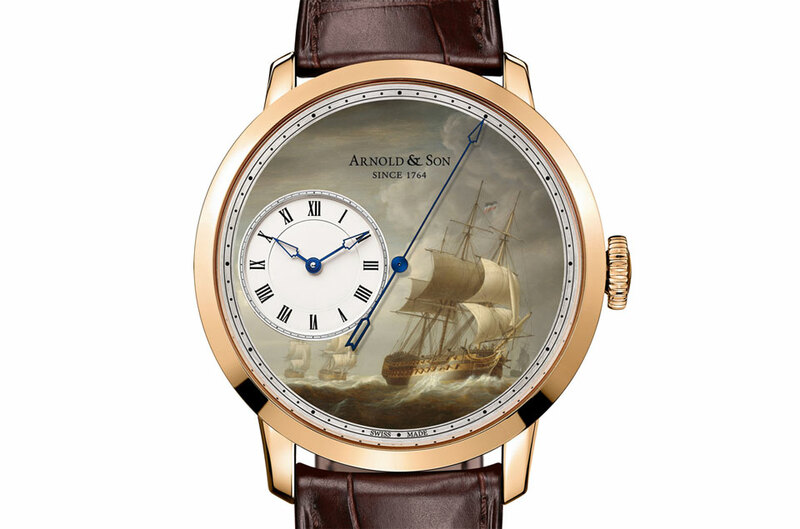 Arnold & Son’s latest set of complicated watches highlight the might of those ancient sailing vessels and simultaneously underscore the genius of John Arnold. 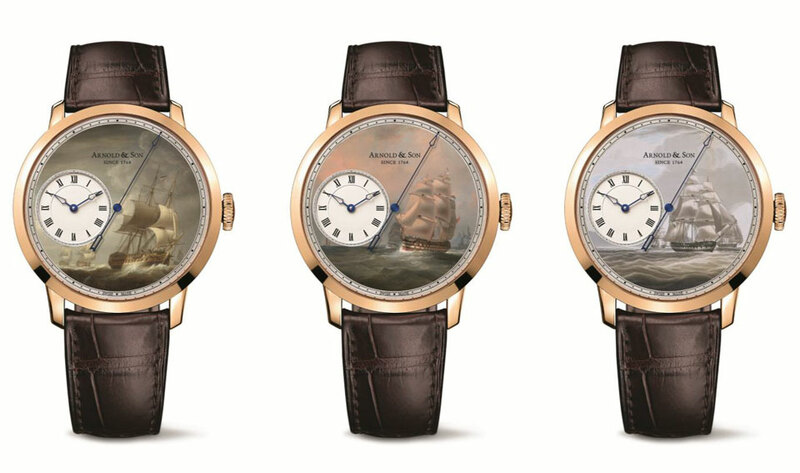 The East India Company Set will be available in an exclusive limited edition of just 28 sets of 3 timepieces. Each dial features a smaller hours and minutes dial at 9 o’clock and large center seconds. The large seconds hint at the presences of another masterpiece within! 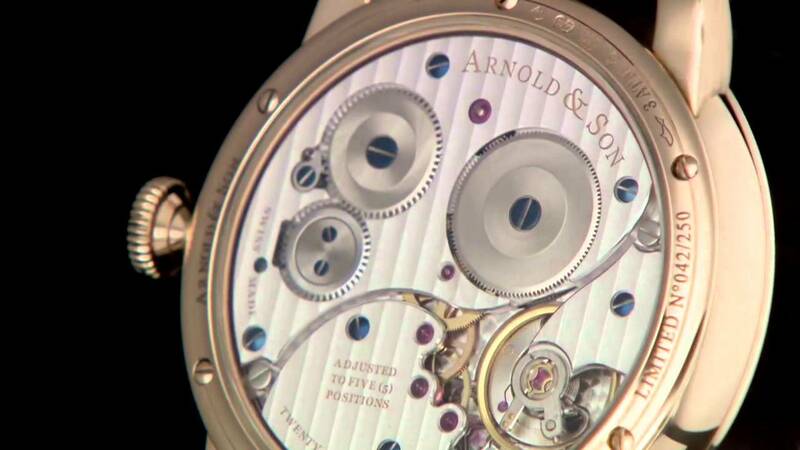 Inside the case there is another work of art; the caliber A&S6103 30 jewel movement. 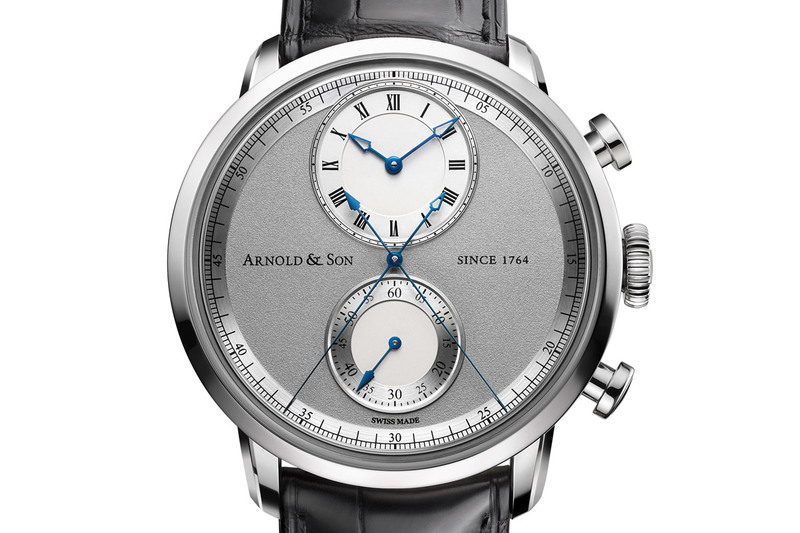 Fitting into Arnold & Son’s regime that each different collection will have it’s own unique movement, the A&S6103 is not only proprietary to Arnold & Son, it is proprietary to these maritime inspired models! The TB Victory model, honoring the HMS Victory also features the A&S6103. The TBR that we reviewed for you (click here) is equipped with a similar movement with an added date function. 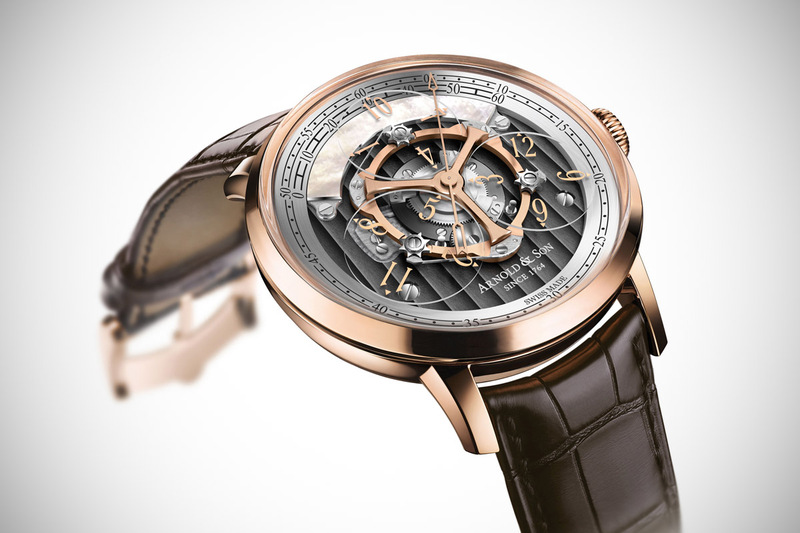 The 6103 is a ‘True Beat’ movement – also referred to as dead beat seconds (think: Grönefeld One Hertz) or jumping seconds (think: Habring²) – so while the balance wheel oscillates at 28,800 vph, the seconds are rigged to tick only once per second. While to some this will seem like a pedantic detail, the True Beat second hand highlights the real mastery of this type of watch – it’s accuracy. While not a full regulator dial in the truest sense of the word, the True Beat seconds allow you to read the second with no ambiguity – integral for chronometer based navigation. From the man (well, perhaps more accurate to say the legacy) that brought you the term Chronometer, it is hoped that the veracity of the hours and minutes are spoken for. The museum at the Greenwich Observatory is filled with timepieces from the dawn of horology. It is fascinating to observe them laid out next to each other in chronological order of development, you can literally see each gestalt that brought about what we know today as wall clocks, pocket and ultimately wristwatches. Each of those developments is attributable to a person, striving and ambitious in his own right. 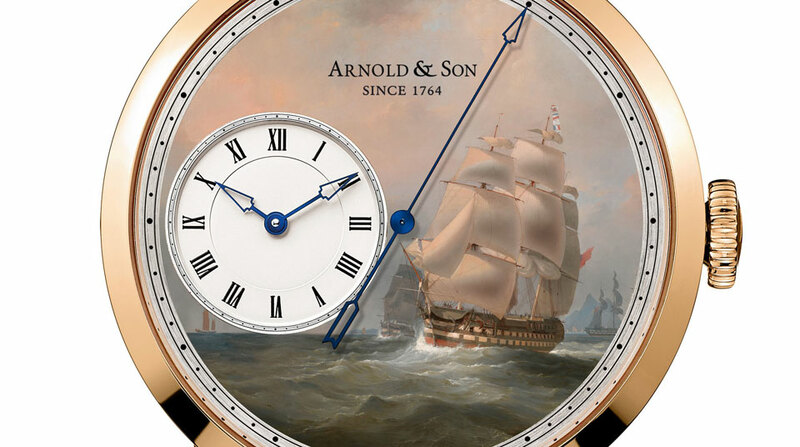 Were it not for modern brands like Arnold & Son, who actively seek to resurrect the traditions of such a great person, John Arnold and his son John Roger Arnold would be exhibits in a museum or lifeless words on a page. In pieces like these commemorating the spirit of exploration and colonial commerce, the name and the insight lives on.